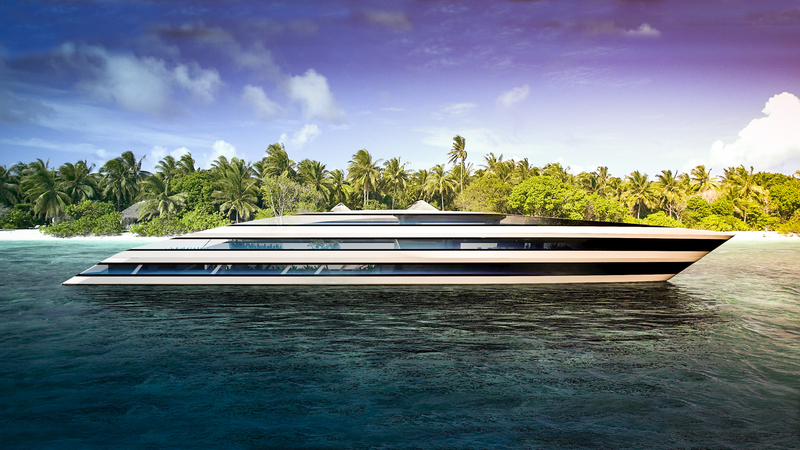 Inspired by an atrium house, this 73 meter long yacht concept from Gorilla Yachts has 2 courtyards. 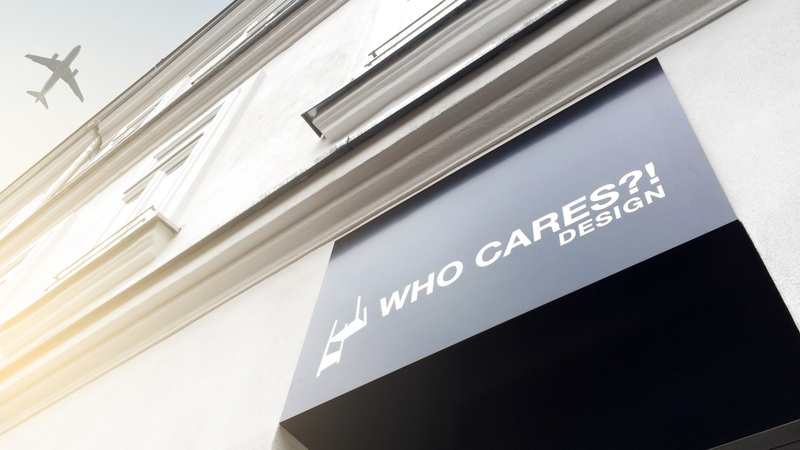 The result is a new experience of space on a motor yacht. The concept does not track the rational and perhaps optimal use of every square meter, but wants to make an approach into architectural parameters like the interplay between structure, space and visibility. 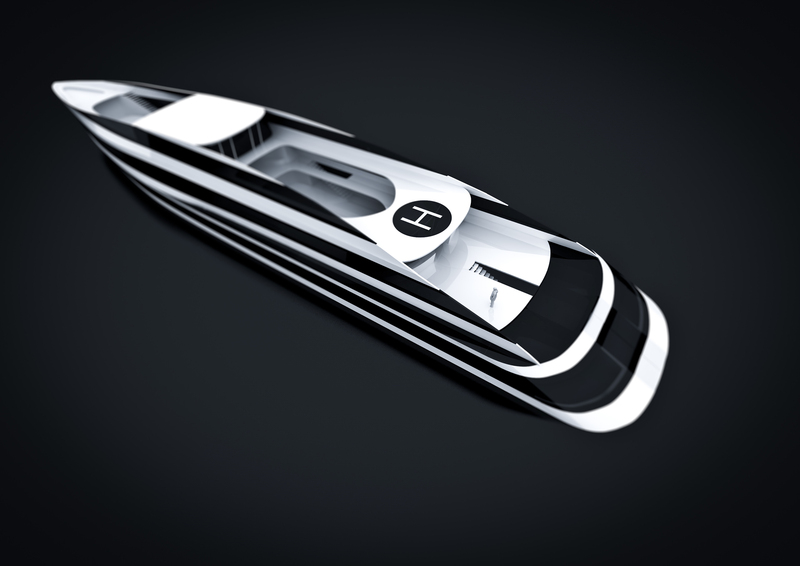 The yacht, made entirely of fiberglass contains space for 10 guests and 8 crew members. A bar with seating accommodation is located right after the entrance. Foldout-balconies on both sides of the bar allow us to widen the room, and have access to the sea. You have the possibility to jump directly into the ocean. Sauna, fitness room and both bedrooms are also provided with foldout-balconies. The Master bedroom has an area of 97m2 with an extra 13m2 balcony, from there you can directly get into the office. 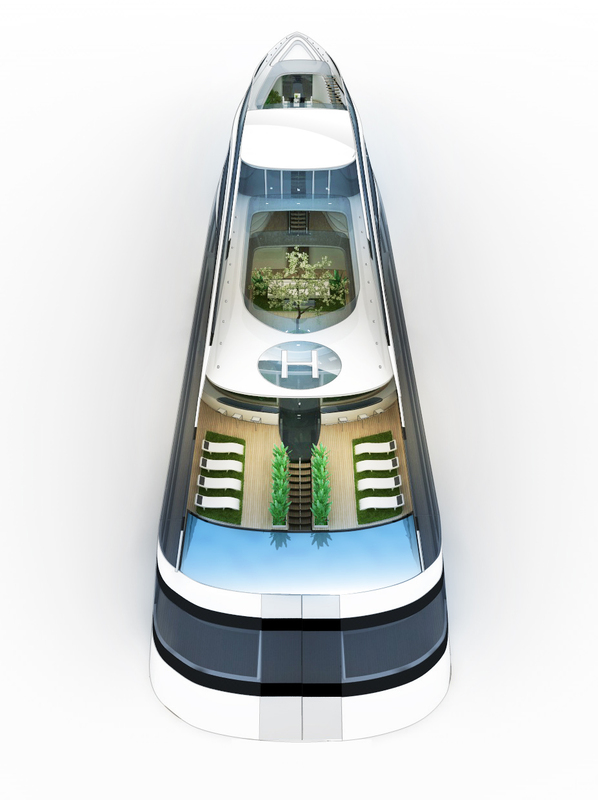 The central point of the yacht is the atrium garden. It offers a sheltered green haven on the high seas, but also a wonderful space for having events or parties. 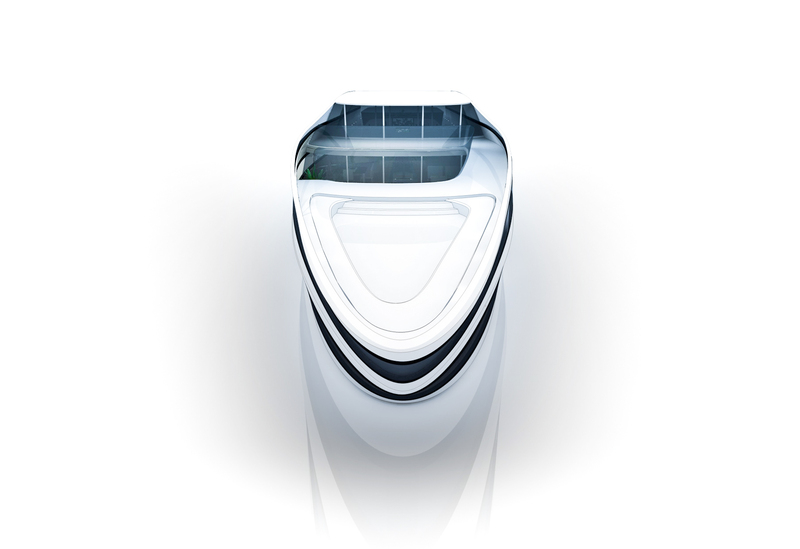 The Yacht has an open frame interior, meaning you have visual access to almost every room and also to the sky, through it’s roofless structure which In case of bad weather, is protected by an automatic glass-roof. 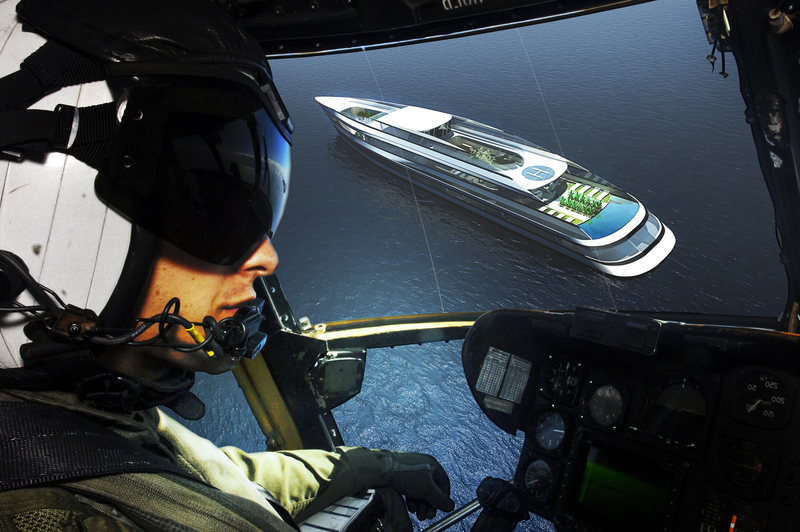 There are also two sun decks and a bar as well as a helicopter landing space on the rear. There is also an additional yard, which is mainly used for dining. 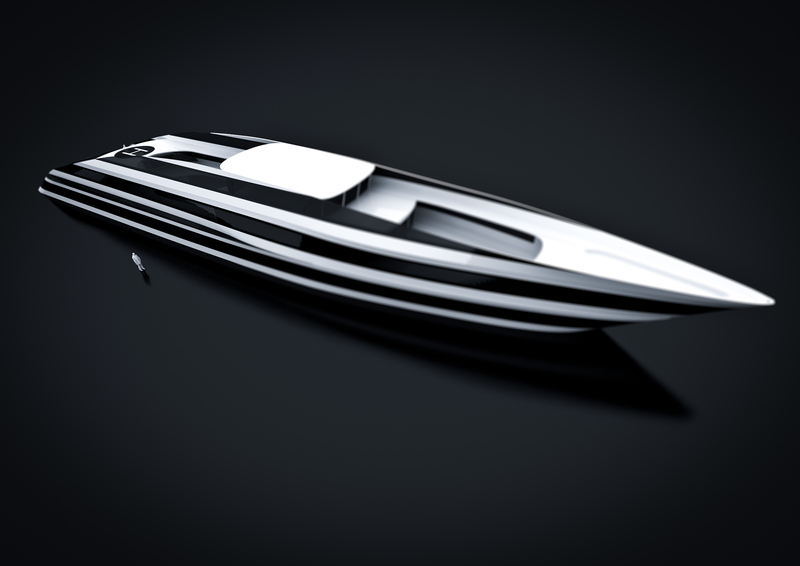 Due to its simple design and the well-composed multi-functionality this yacht contrasts with all its conventional competitors, evolving special concepts and breaking rules.